Campbell, James M. – Campbell Conroy & O'Neil, P.C. Jim Campbell focuses his practice on civil litigation and the defense of catastrophic product liability, toxic tort, medical device, pharmaceutical, professional liability, and negligence matters throughout the United States. 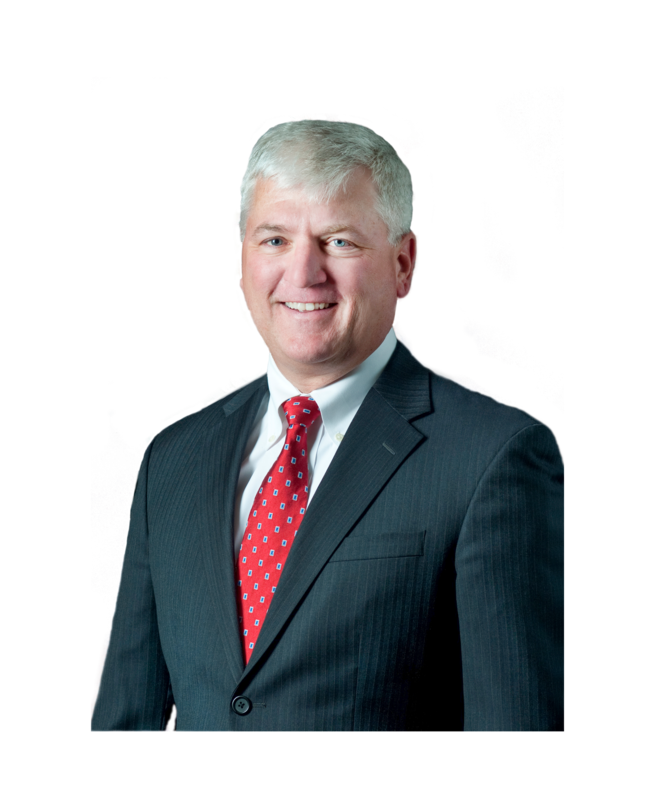 Jim is President of Campbell Campbell Conroy & O’Neil, P.C., and has been with the firm his entire career. With a passion for trial practice, Jim has earned his place as a go-to attorney for clients with high-stakes cases. 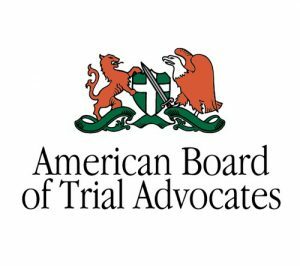 He has tried more than 100 cases in 15 states and is a Fellow of the American College of Trial Lawyers, a Diplomate of the American Board of Trial Advocates (ABOTA), Fellow of the International Society of Barristers, and a Fellow of the Litigation Counsel of America. His approach includes a thorough analysis of clients’ ultimate business objectives to achieve results. Jim is recognized by The Legal 500 as a Nationwide Leading Lawyer for Product Liability and Mass Tort Defense. 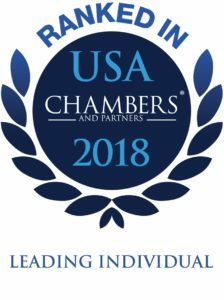 Similarly, Chambers USA identifies Jim as a nationwide leading lawyer for product liability and Mass Torts. He is listed as one of the Top 10 Most Highly Regarded Individuals in the United States for Products Liability Defense by the Who’s Who Legal. Jim is consistently included as one of the Best Lawyers in America for Products Liability Litigation – Defendants. Super Lawyers identify Jim as among the top 100 lawyers in Massachusetts and New England. As reported by the Legal 500, Jim’s clients describe him as ‘one of the best’ in his field, an ‘outstanding trial lawyer who can grasp technical issues very quickly’ and ‘achieves tremendous results for his clients’. Chambers USA writes: James Campbell is held in very high regard by market sources for his impressive trial capabilities. He is also commended for his keen eye for detail and frequently described as “spectacular,” “outstanding” and “persuasive.” “We trust him because of results; they speak for themselves. We’ve had nothing but defense verdicts!” report clients. Jim serves as trial counsel for clients in industries that include automobiles, pharmaceuticals, medical devices, construction, heavy equipment, recreational products, chemicals, and material handling. Jim also defends a variety of professions in connection with alleged negligence, malpractice and breach of fiduciary duty claims. One of the firm’s principal trial attorneys, Jim serves as national, regional and local trial counsel for a variety of major national and international corporations and insurers, and is responsible for supervising and coordinating litigation not only throughout New England, but other regions of the country. 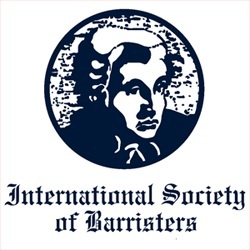 Jim is a past president of the International Association of Defense Counsel, the Massachusetts Defense Lawyers Association, and Massachusetts Chapter of ABOTA. 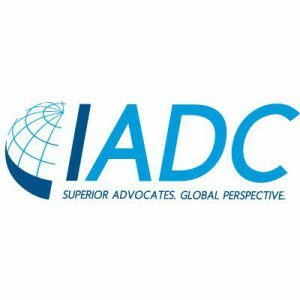 He served as the Director of the IADC Trial Academy and the ABA National Trial Academy. He has twice served on the Board of the DRI and the ABOTA National Board of Directors. When not in court, Jim enjoys spending time with his family, playing golf, water sports and snow skiing. DeMond, et al. v. Project Service, LLC, et al. Barack et al v. American Honda Motor Co. Inc.
Michael Eason v. Marriott International, Inc.
Triana/Cipriano v. Takeda Pharmaceuticals America, Inc.
Perez v. Toyota Motor Sales, U.S.A., Inc..
Arthur Decato v. American Honda Motor Company, Inc.
Ciffo v. The Ritz-Carlton Hotel Co.
Adair v. Land Rover North America, Inc.
Nordensved v. Mini Coach of Boston, Inc.
Kramer, Adm. v. Toyota Motor Sales, U.S.A., Inc.
Gauthier v. Marriott International, Inc.
Smith v. Home Depot USA, Inc.
Storozuk v. Cumberland Farms, Inc. Featured Case: Gosule v. American Automobile Association, Inc.
Svinland v. Honda Motor Company, Inc.
Siminovitch v. Home Depot, USA, Inc.
Carter v. American Honda Motor Co., Inc.
Voir dire is an art form. James Campbell will gave a plaintiff’s and defendant’s perspective on how and why they conduct voir dire the way they do, and they will then do a mock voir dire of a panel of “jurors” based on an actual product liability fact pattern at the DRI. Discovery or No Discovery? What is the best litigation system for corporations? James M. Campbell presented to The International Corporate Counsel College, 6 -7 October 2011, Paris, France. James M. Campbell presented “Voir Dire” a CLE presentation at the MBA Centennial Conference. 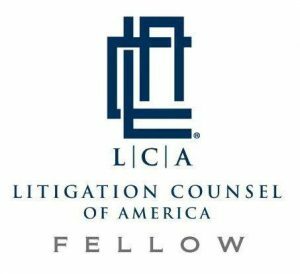 Alleged Improper Handling of In-Flight Medical Emergencies: A Cognizable Claim Under the Warsaw Convention?, No.1. Expert Guides, a part of Euromoney’s Legal Media Group has recognized James M. Campbell as one of the Best of the Best in the USA in its annual guide, which highlights the top 30 legal practitioners in the country. James M. Campbell, President and Member of Campbell Campbell Edwards & Conroy specializes in civil litigation and product liability…. Deputy Attorney General of the United States of America, Rob Rosenstein addressed the Lawyers for Civil Justice Membership meeting on May 4, 2018.